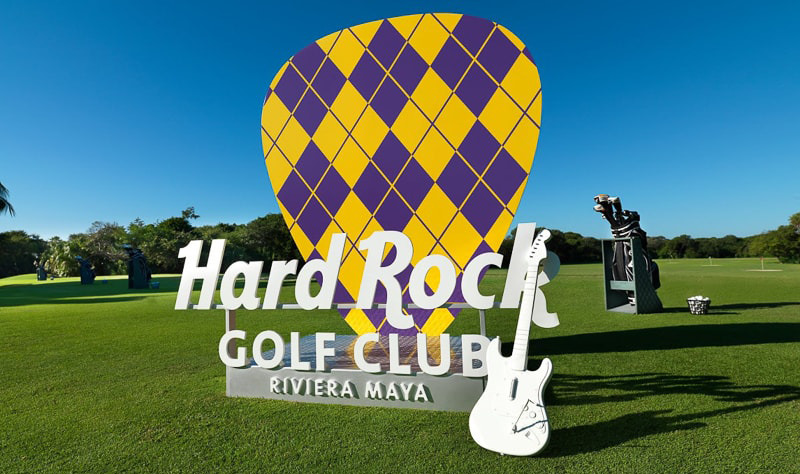 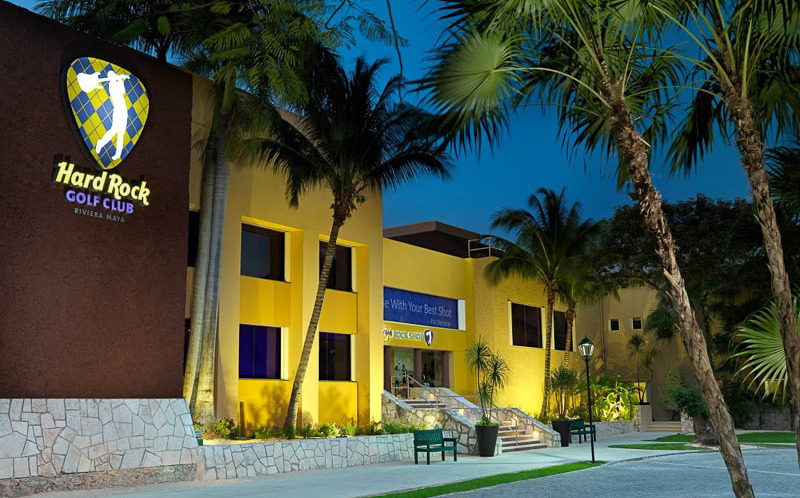 The Hard Rock Riviera Maya Golf Club is a stunning 72 par golf course located just steps away from Playa del Carmen's bustling 5th Avenue! 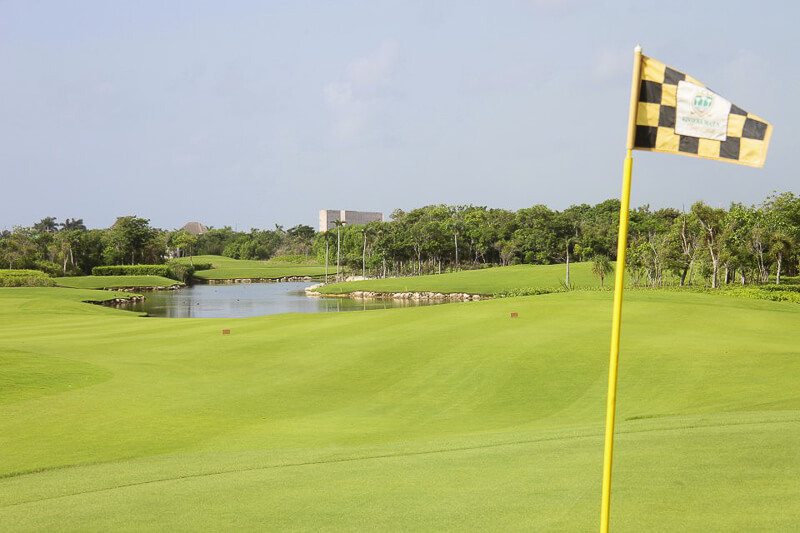 Combine your vacation in paradise with 18 holes of championship golf at the Grand Coral Golf Course located 15 minutes from Playa del Carmen! 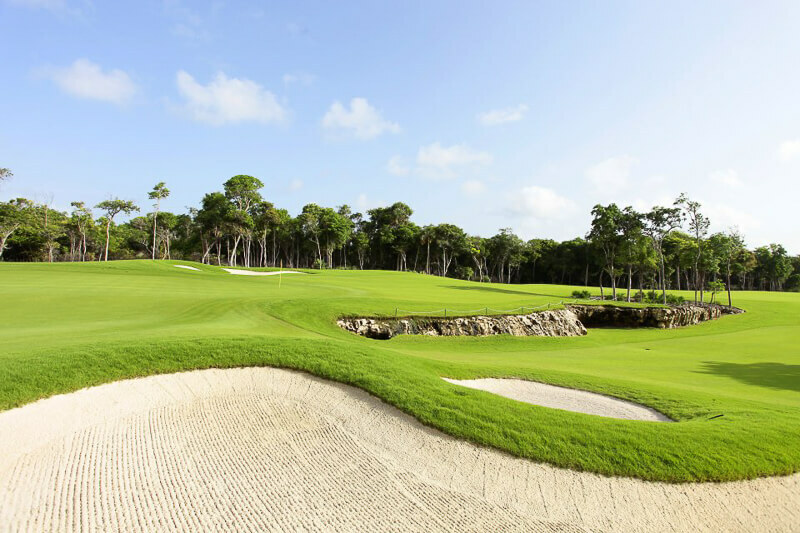 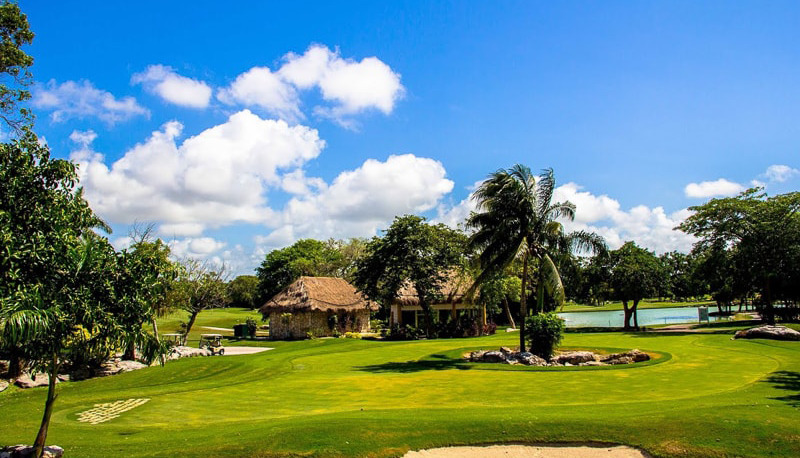 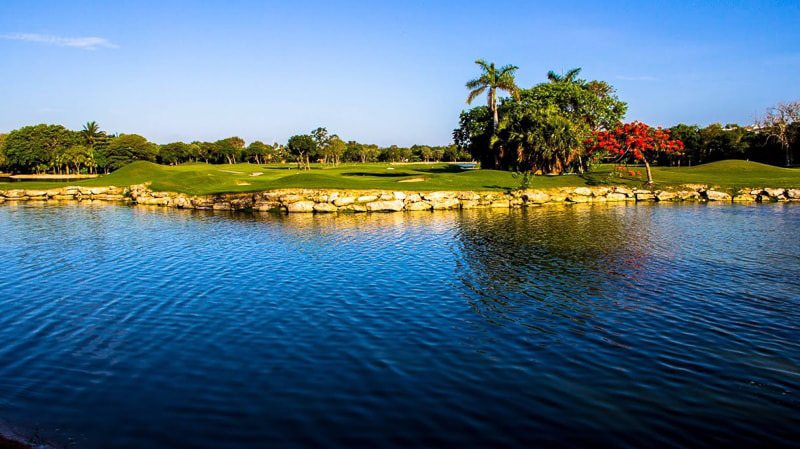 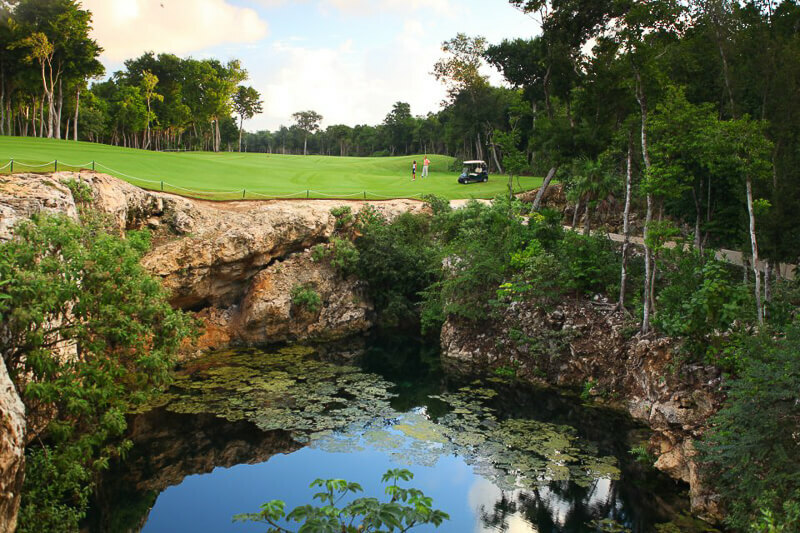 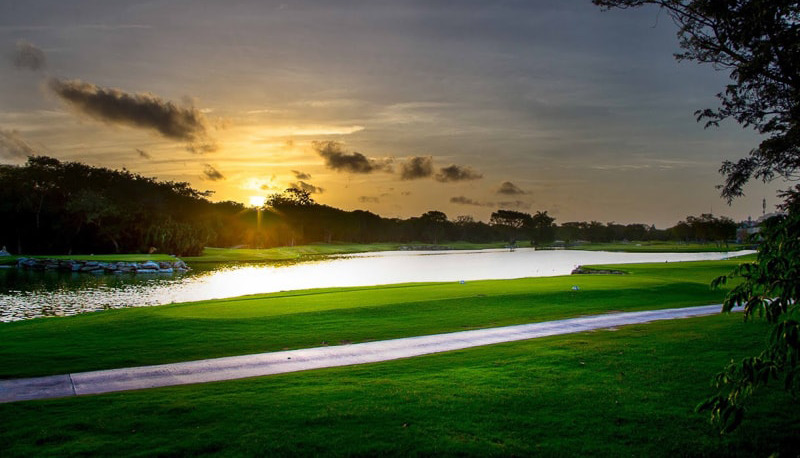 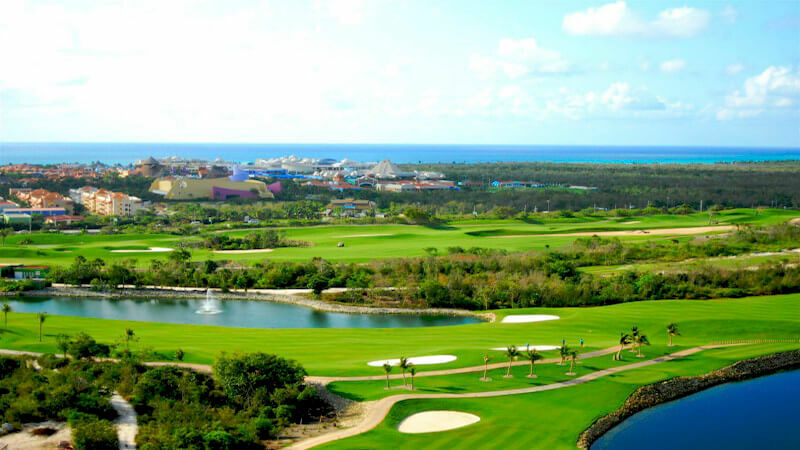 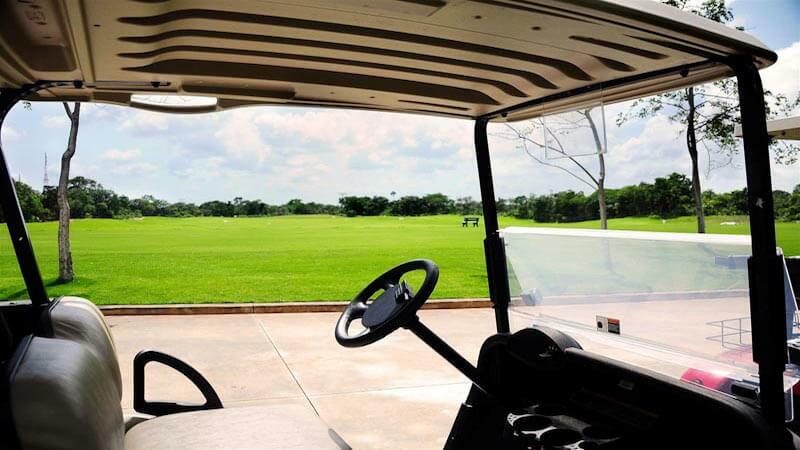 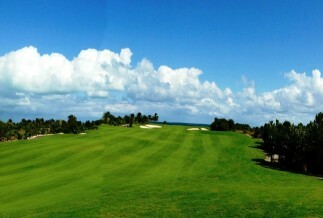 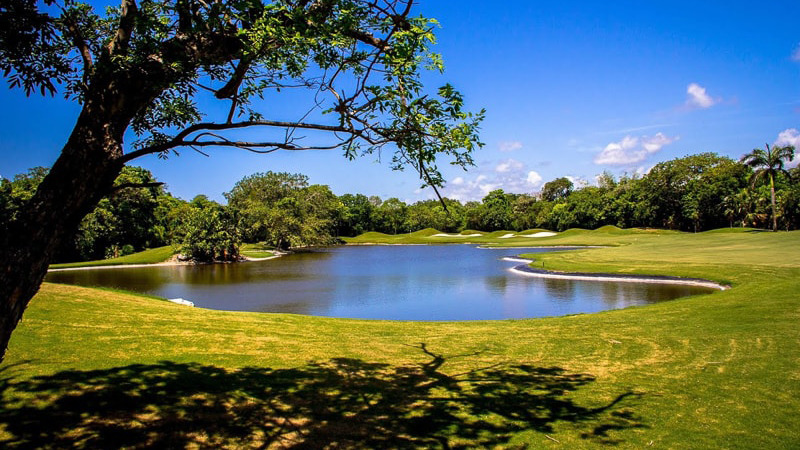 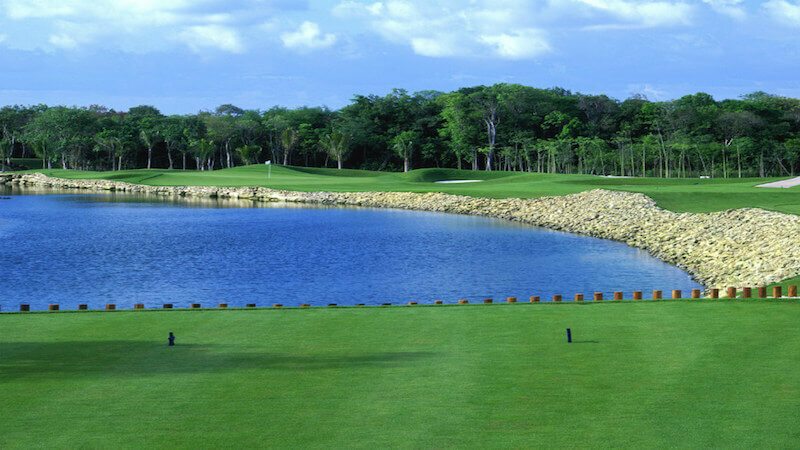 Tee off in the Bahia Principe Riviera Maya Golf Club, a spectacular 27-hole golf course spread out over 220 acres in the heart of the Mayan Riviera! 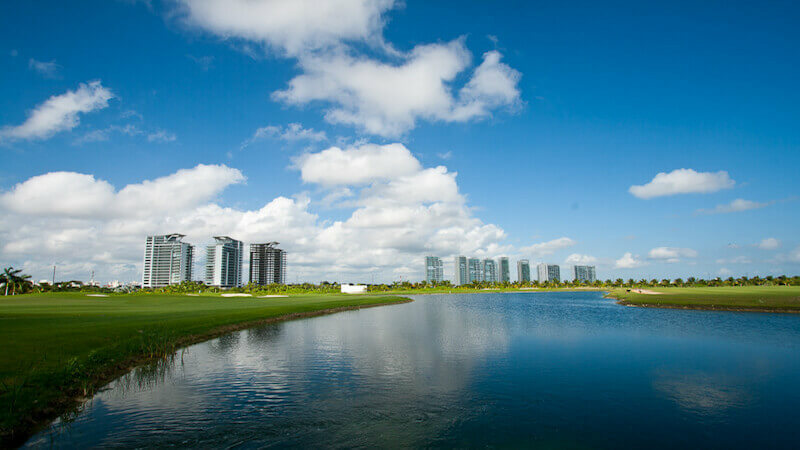 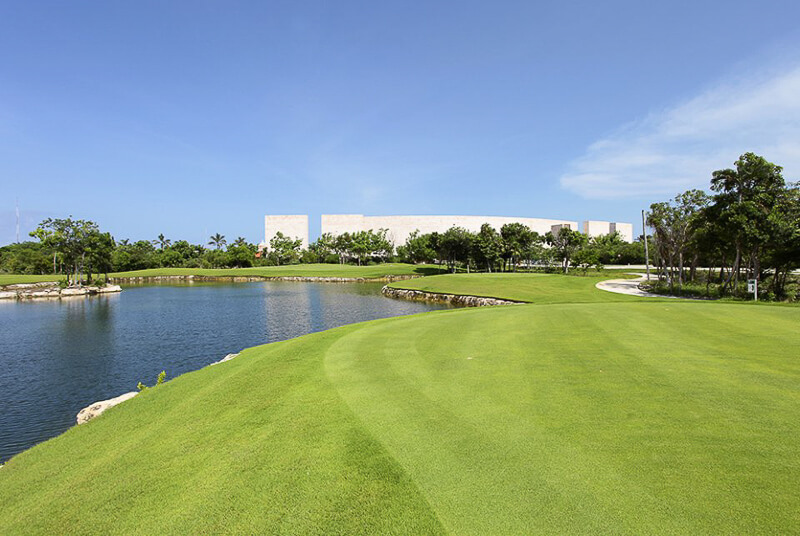 Book a round of championship golf at the stunning 27-hole par 72 Moon Palace Golf Course located at the luxurious 5-star Moon Spa & Golf Resort! 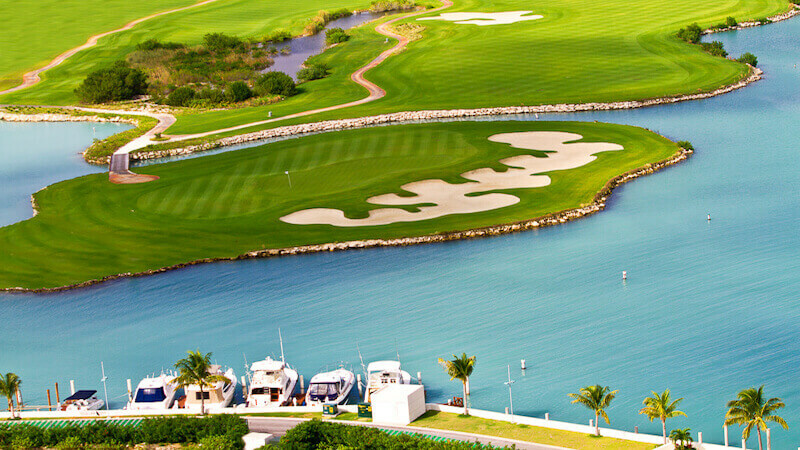 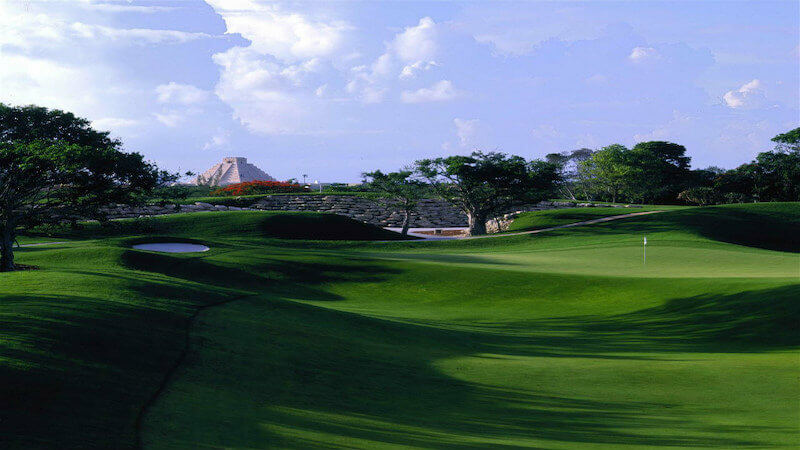 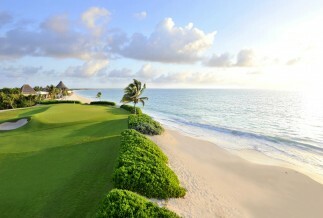 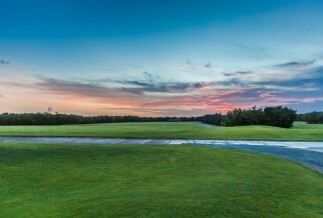 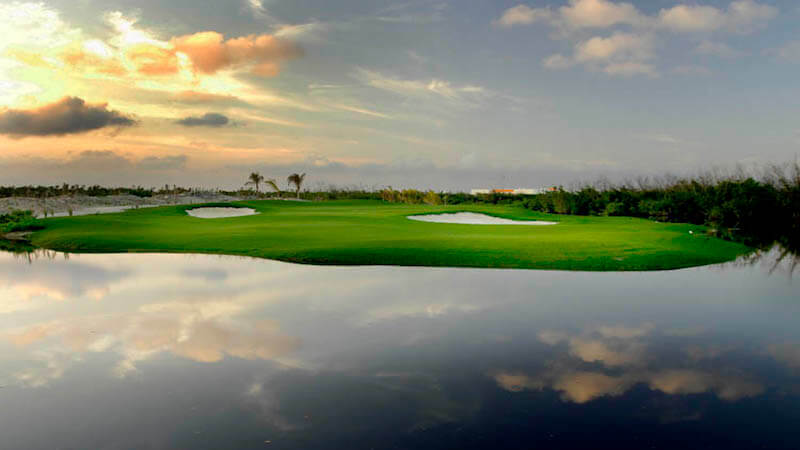 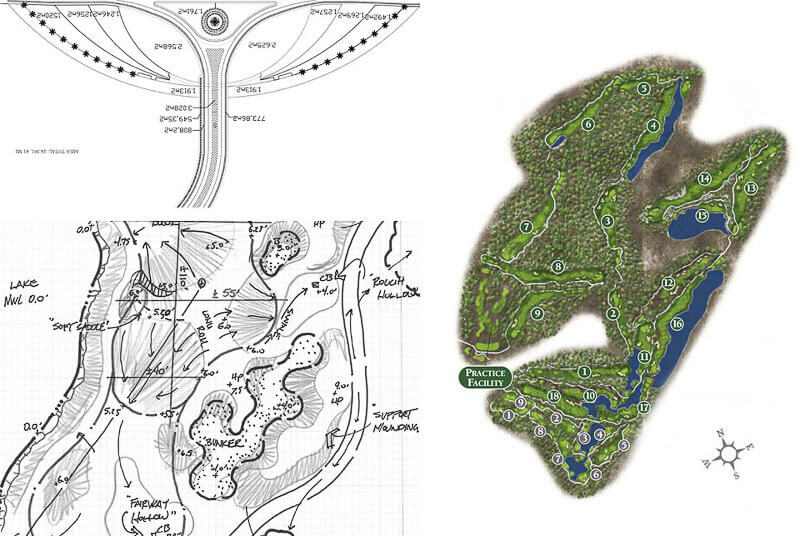 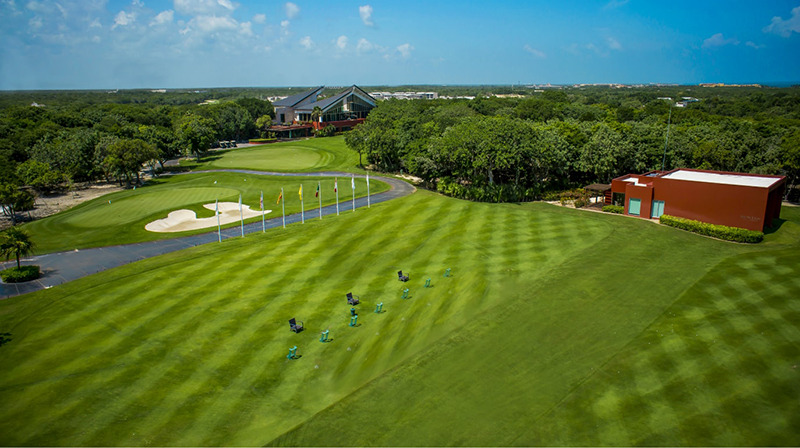 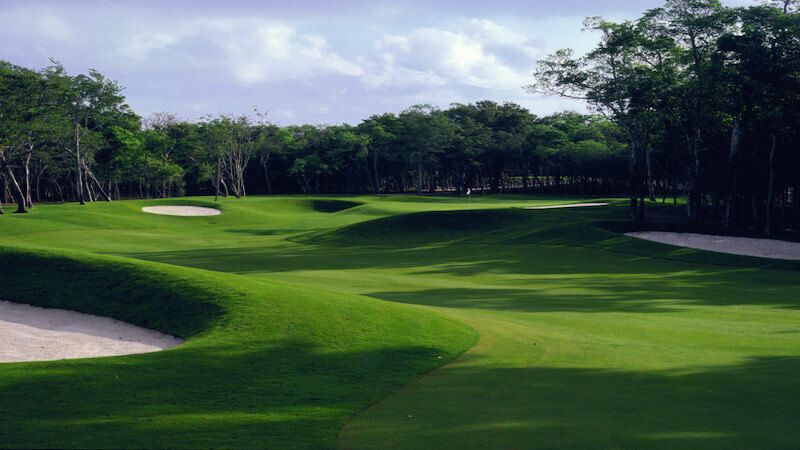 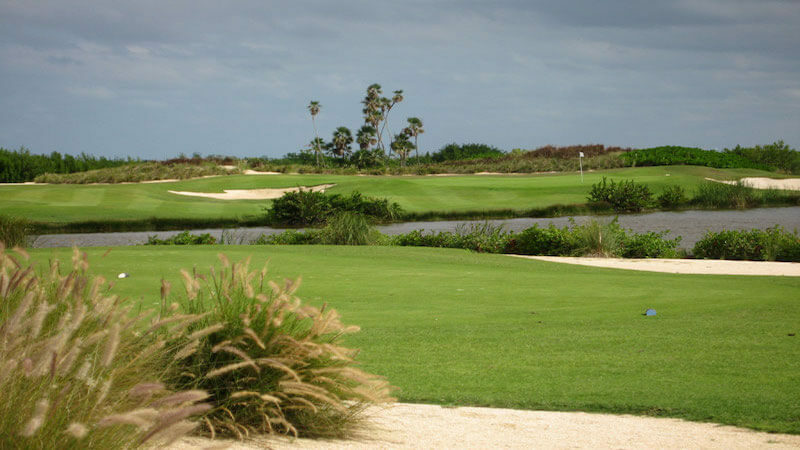 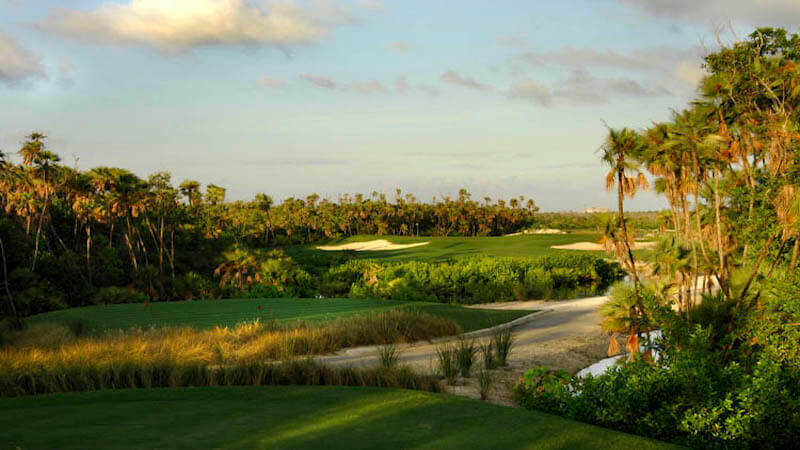 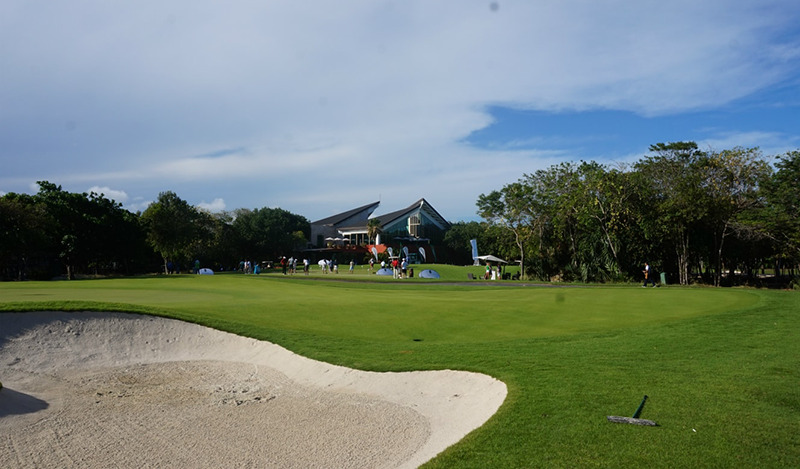 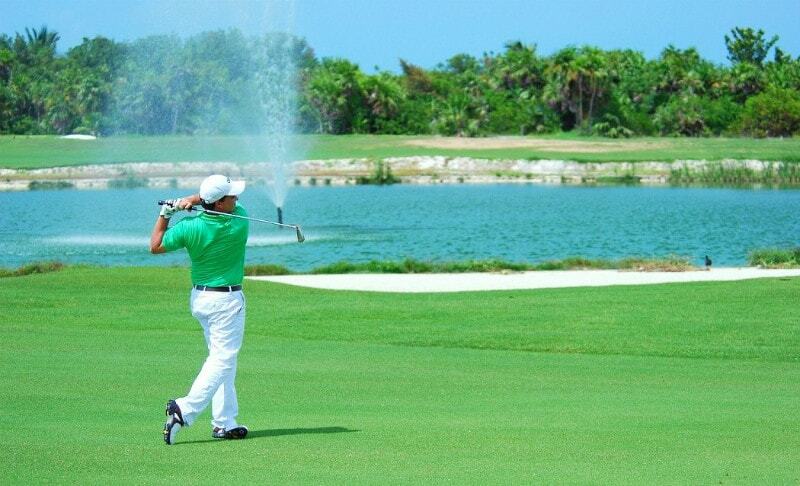 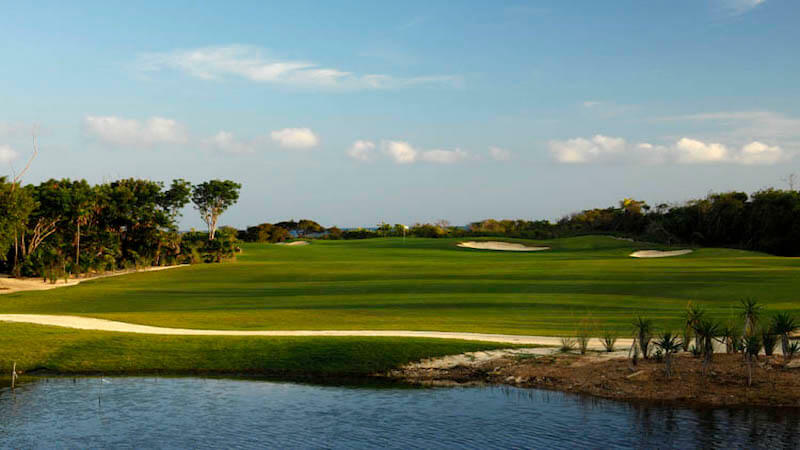 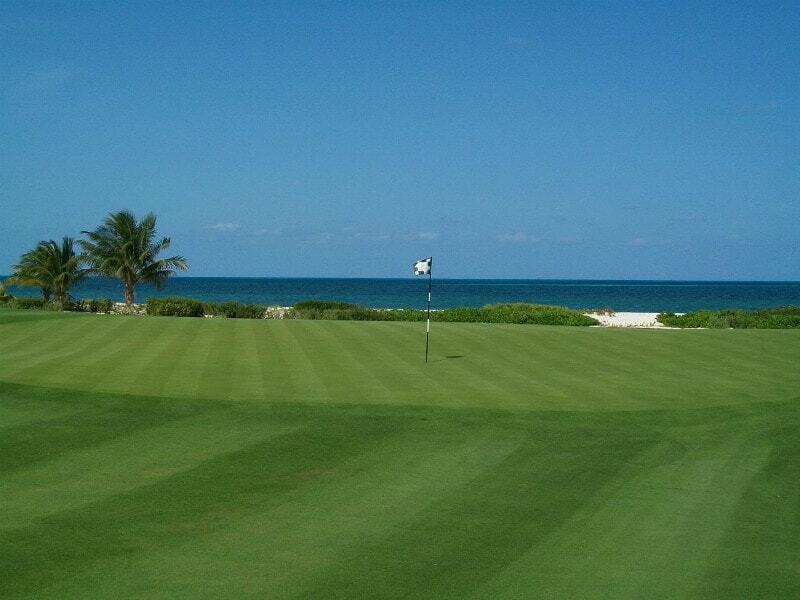 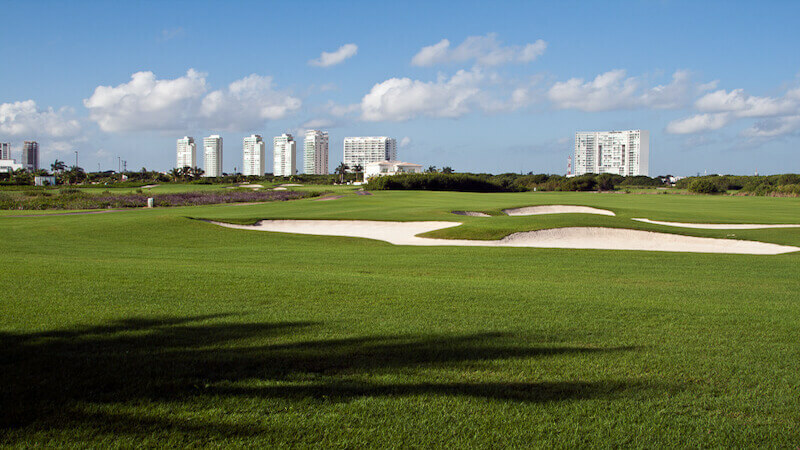 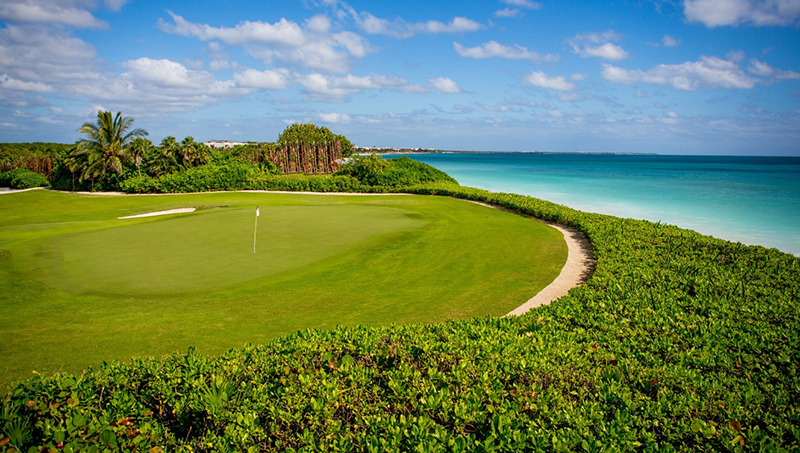 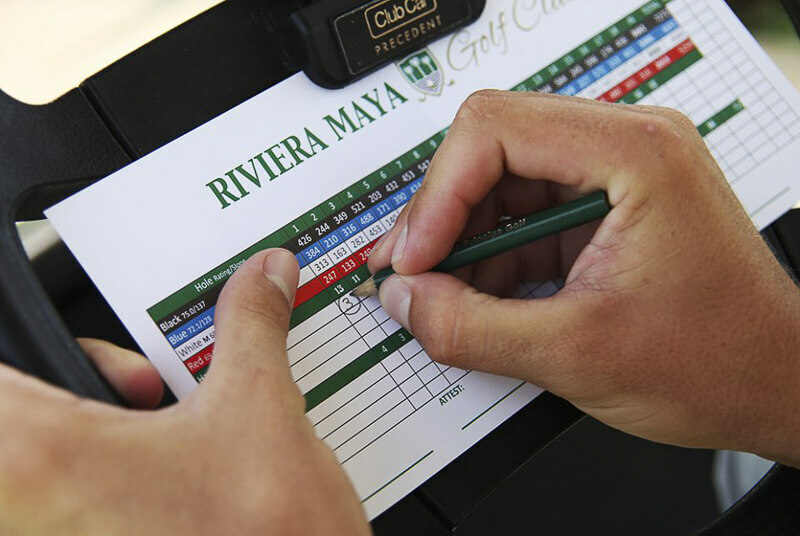 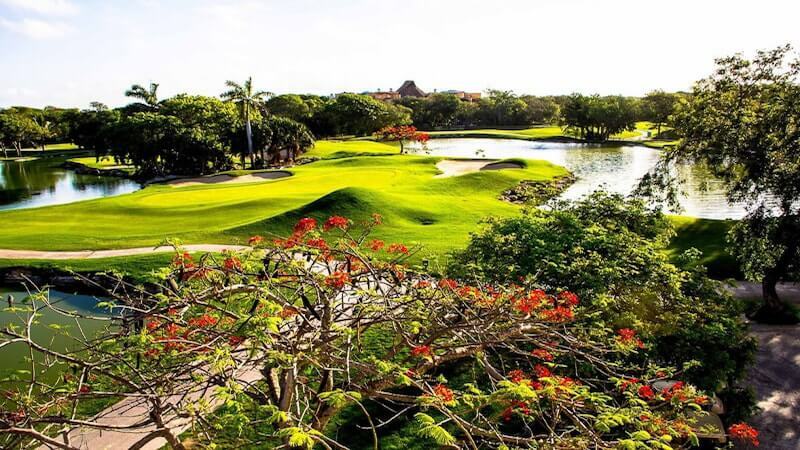 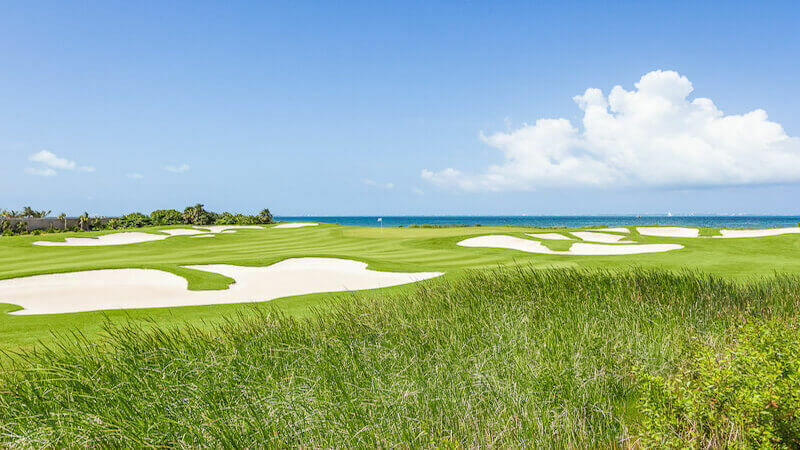 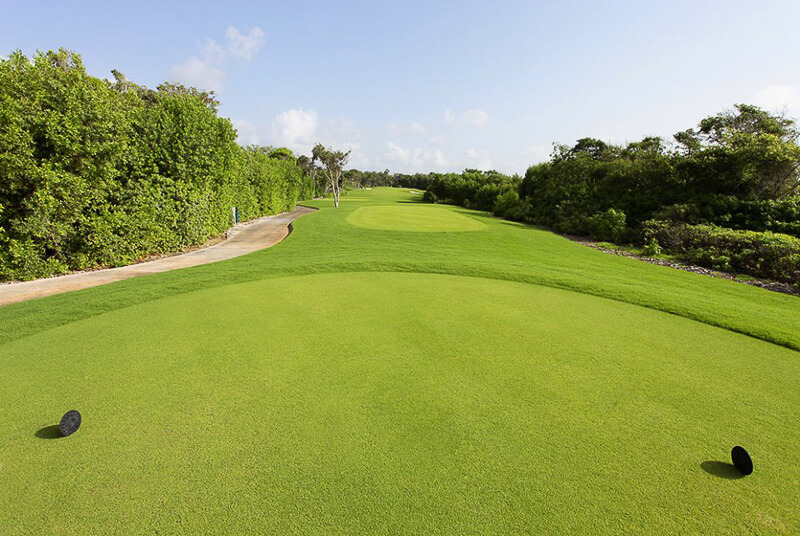 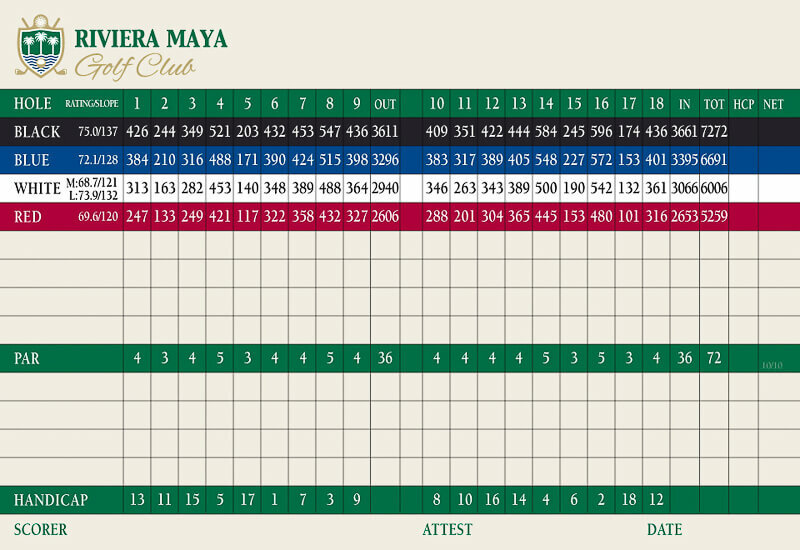 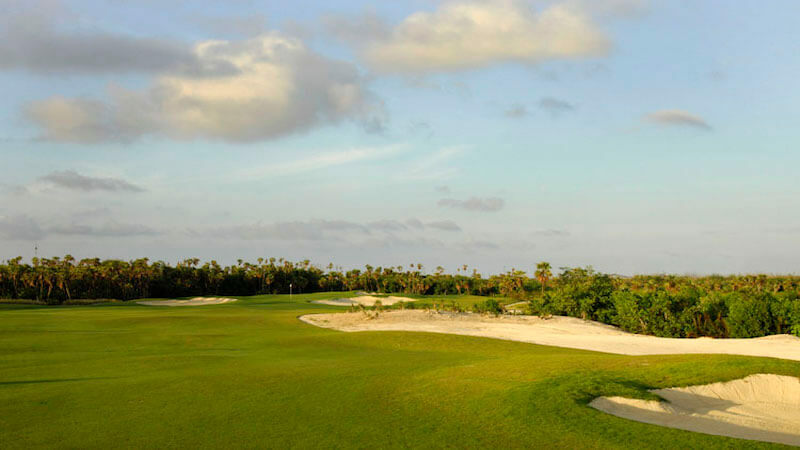 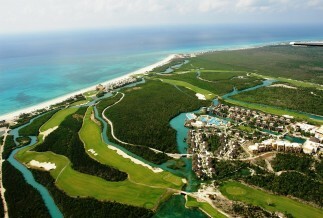 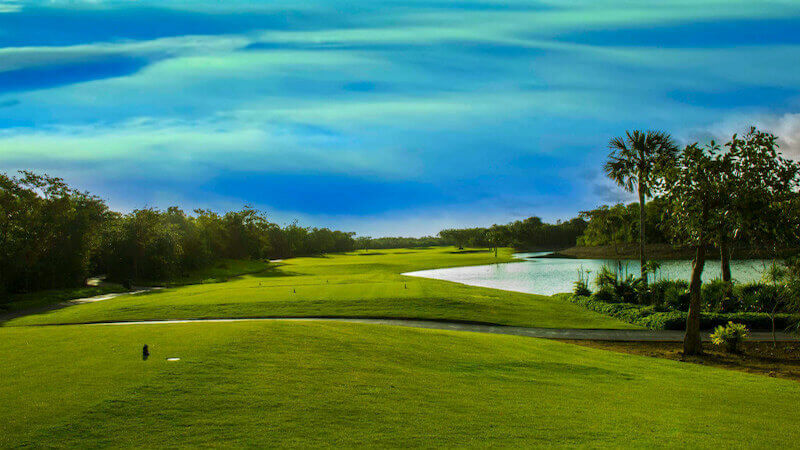 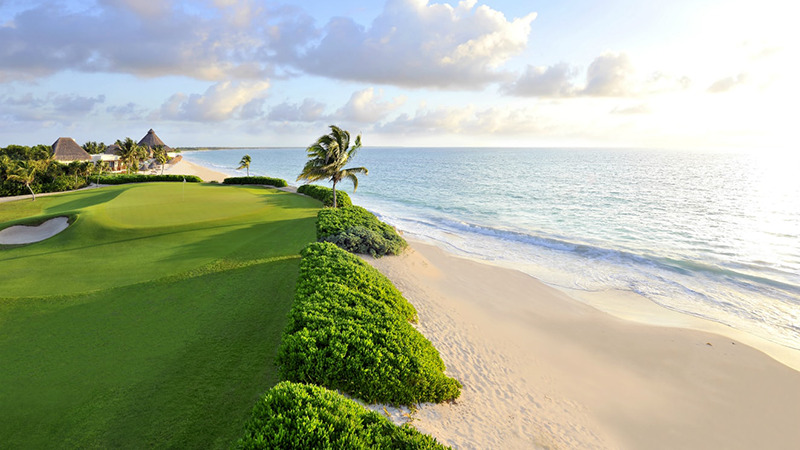 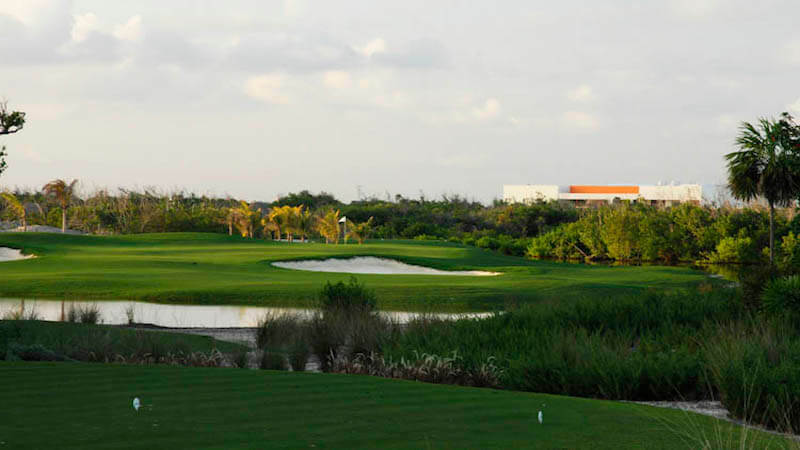 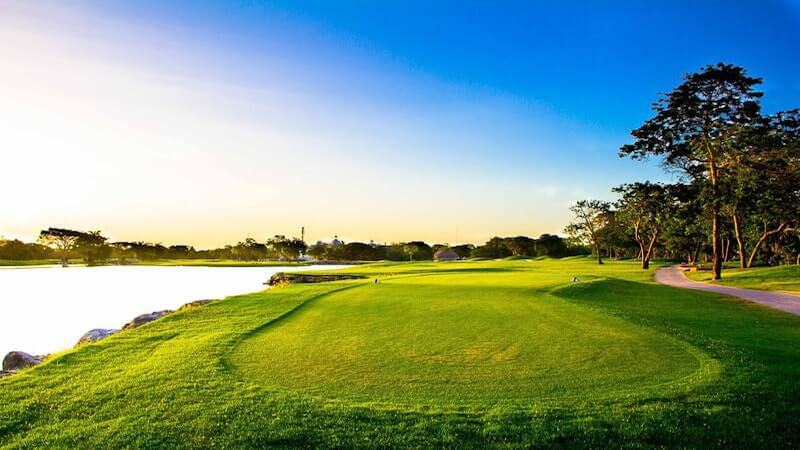 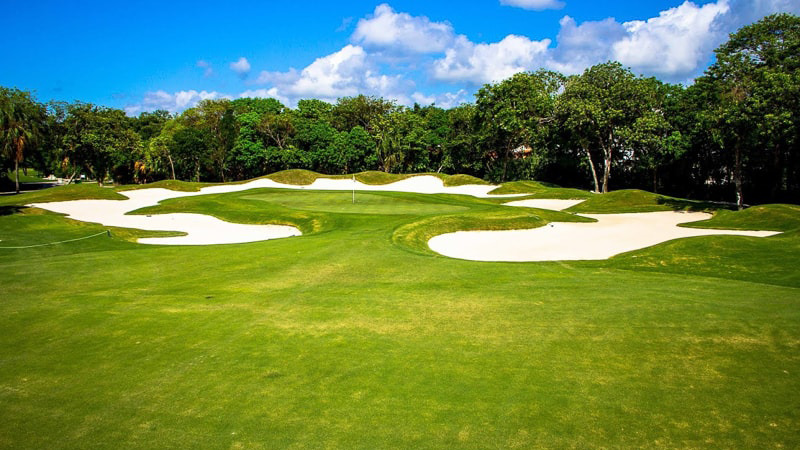 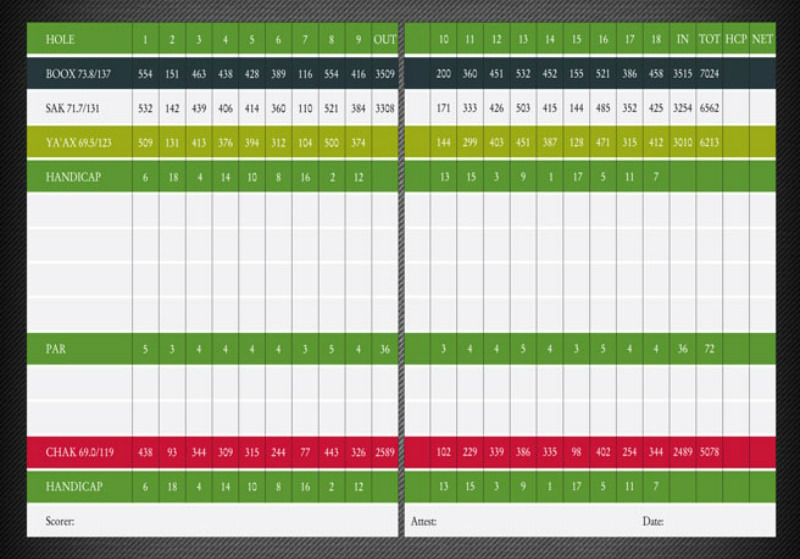 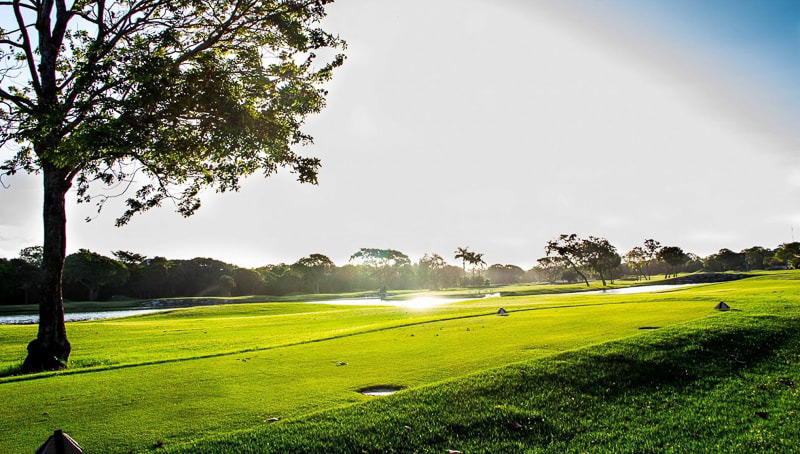 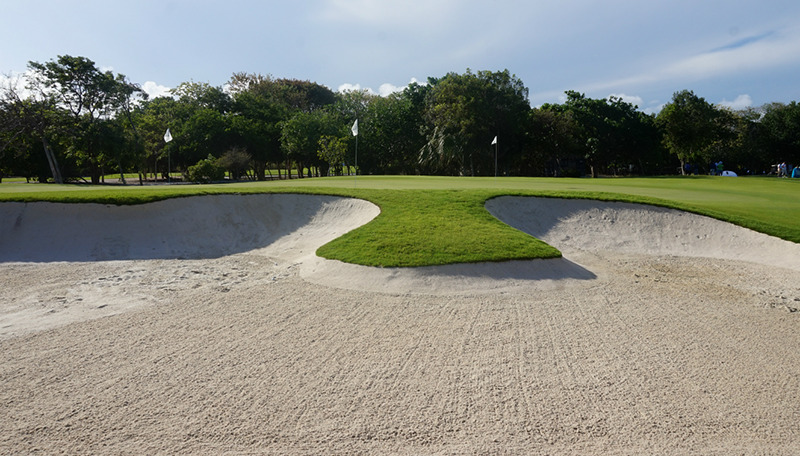 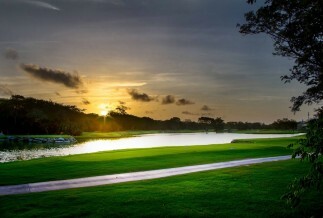 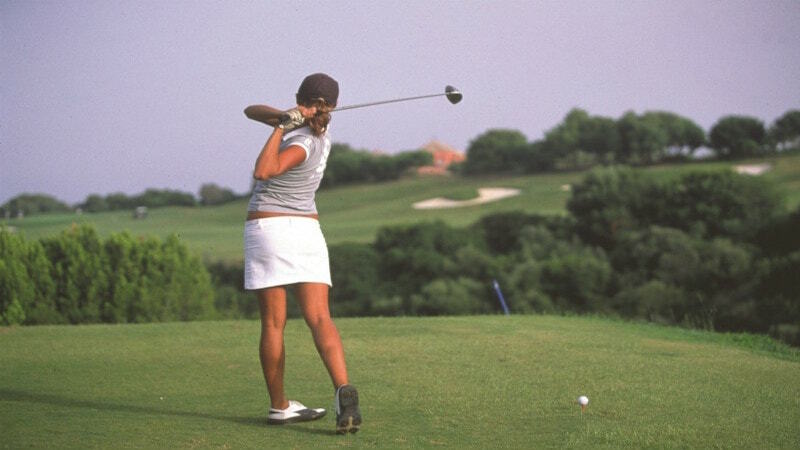 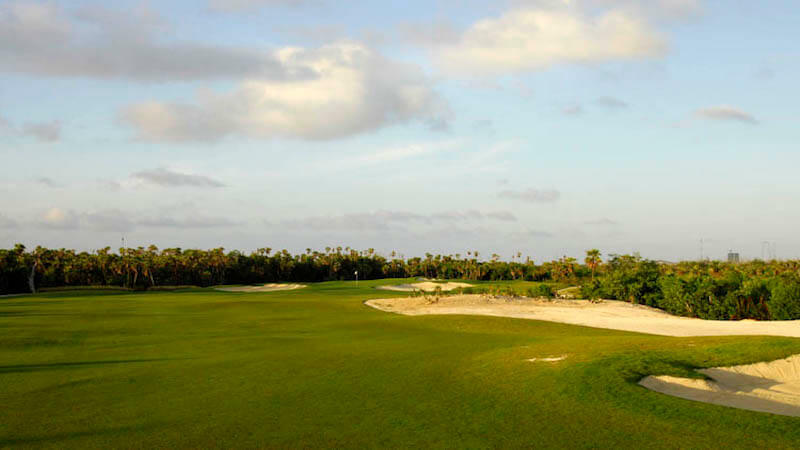 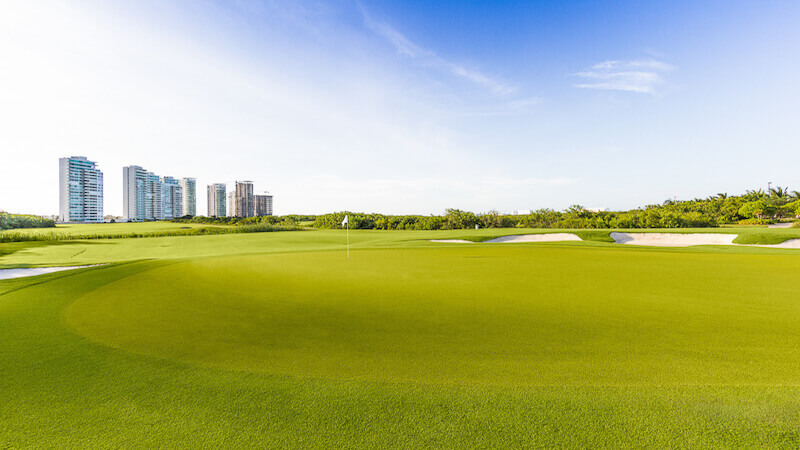 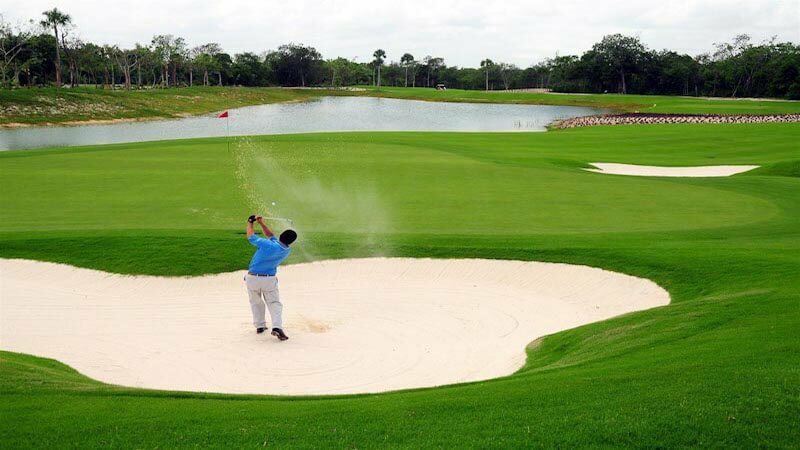 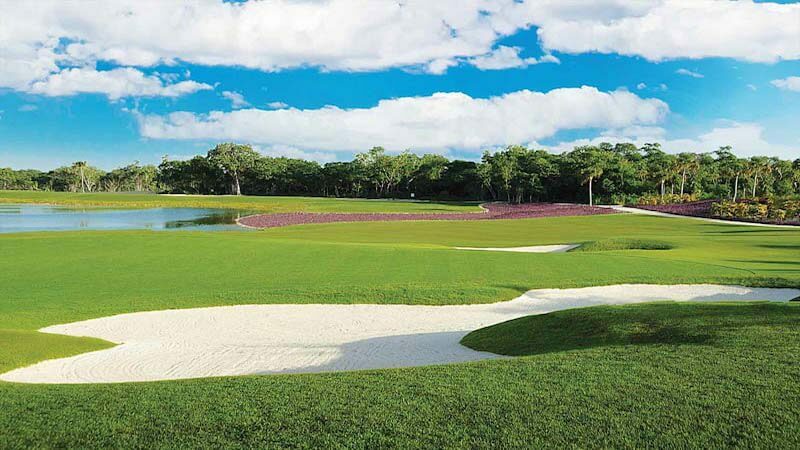 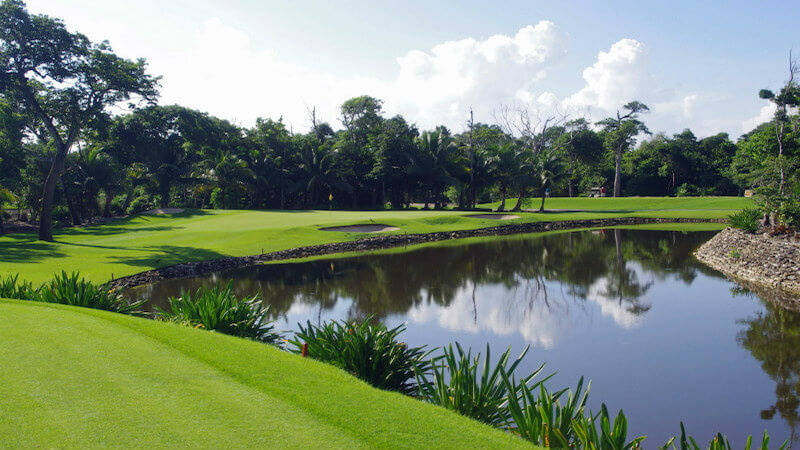 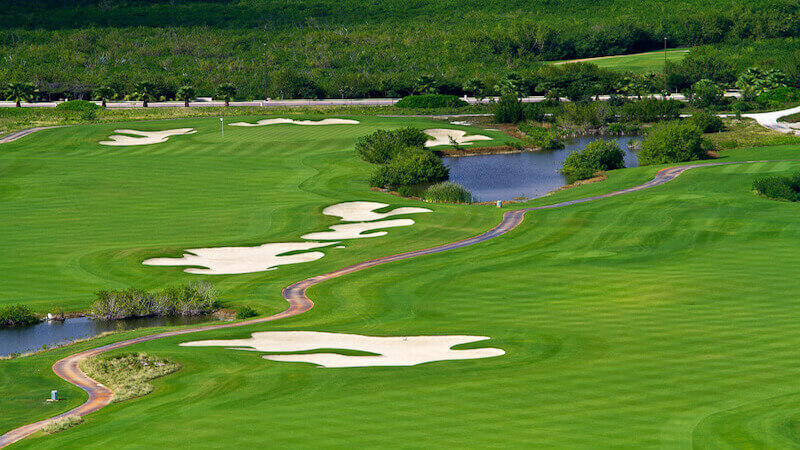 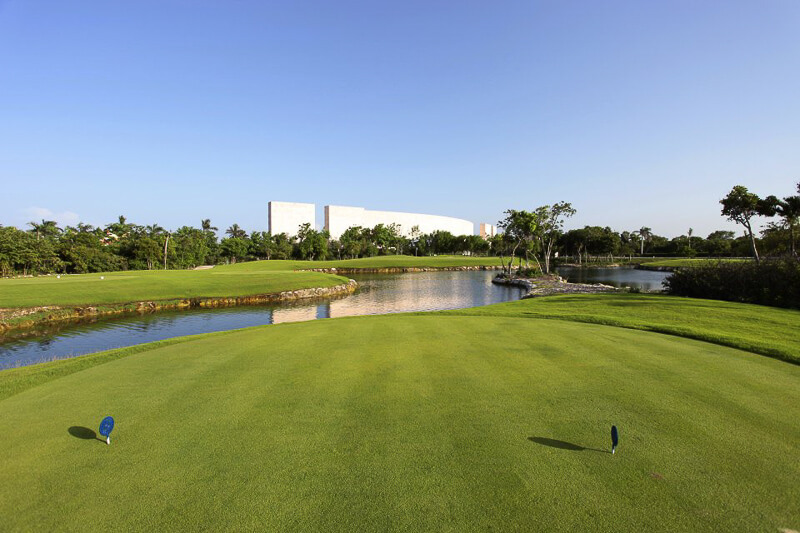 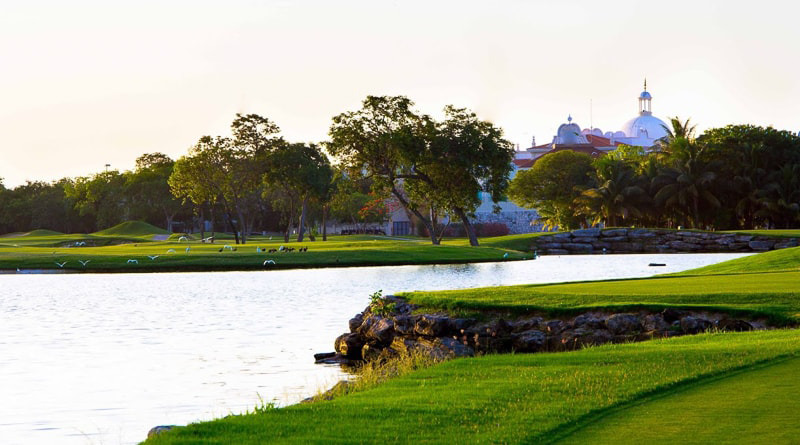 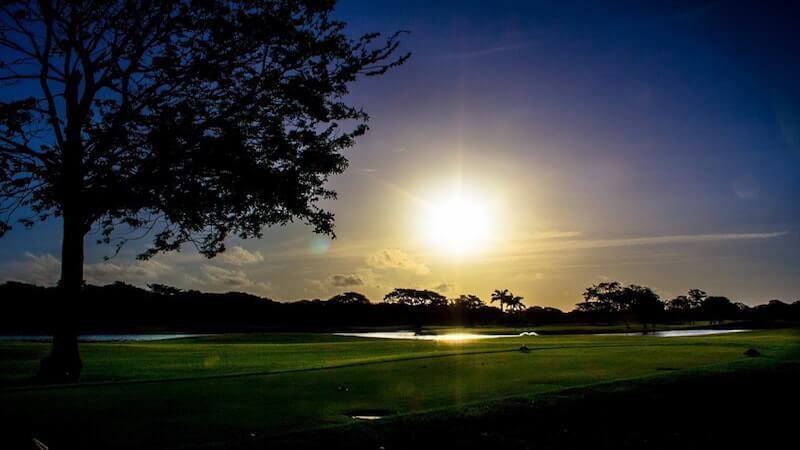 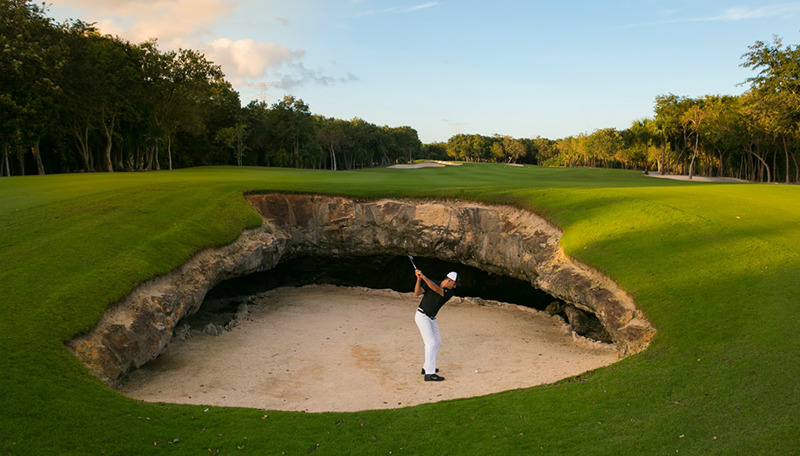 Play a round of championship golf at the only Latin American golf course on the PGA circuit: El Camaleon Mayakoba! 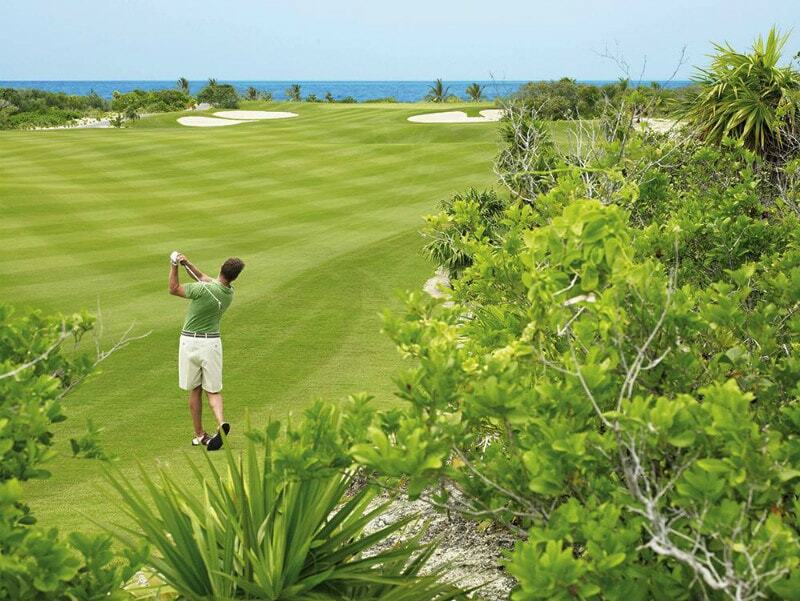 Tee off where the tropical jungle embraces the Caribbean Sea at the Iberostar Playa Paraiso golf course! 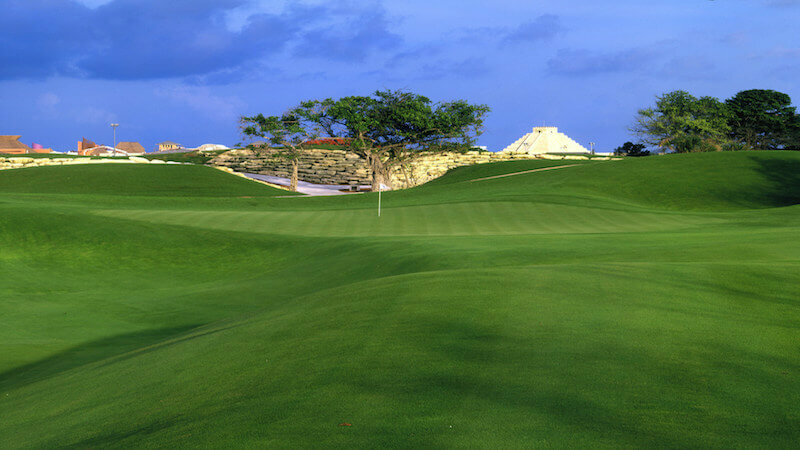 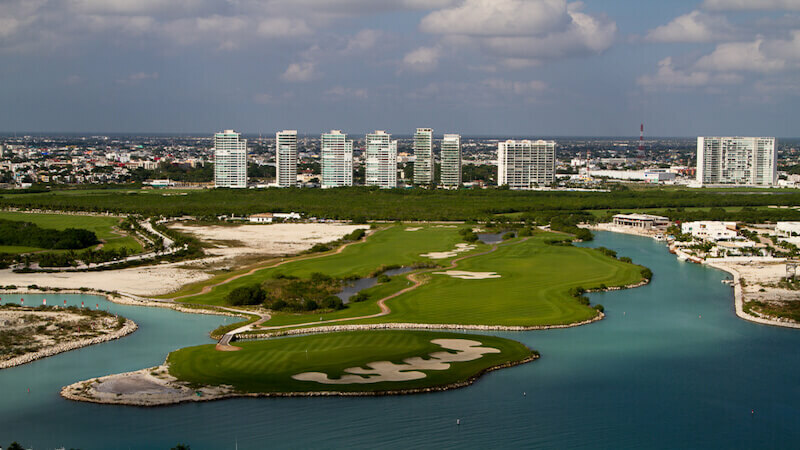 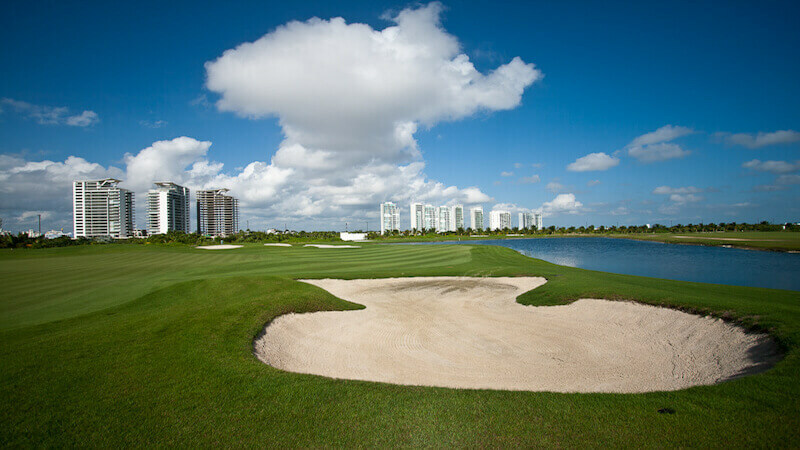 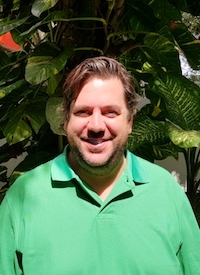 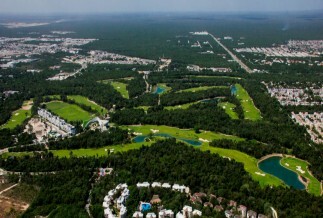 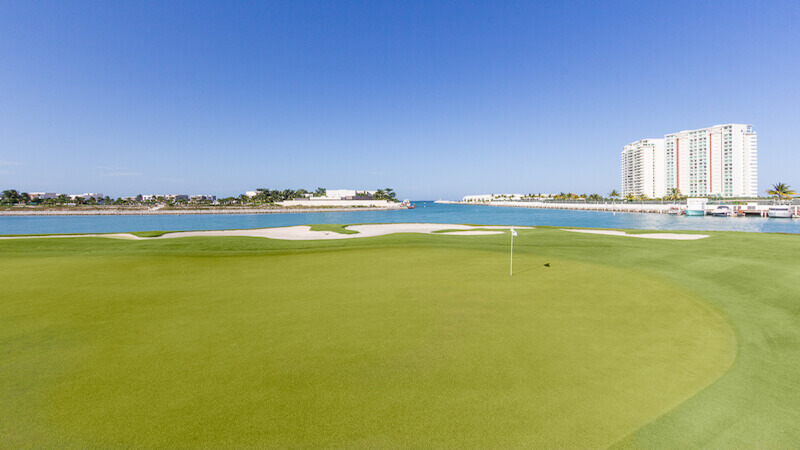 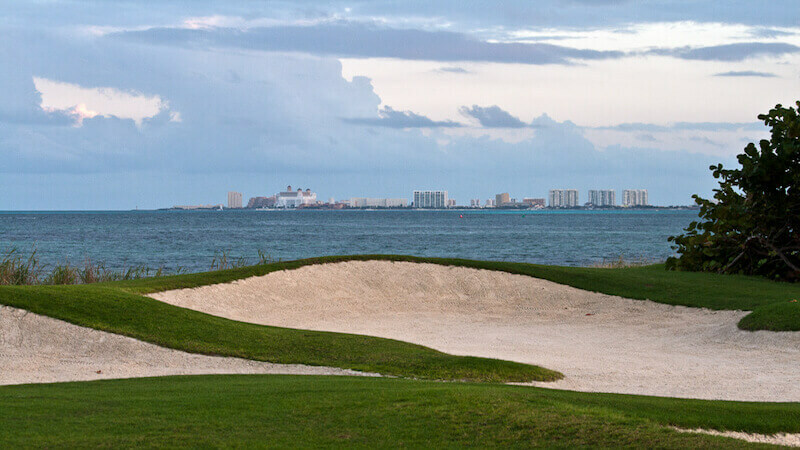 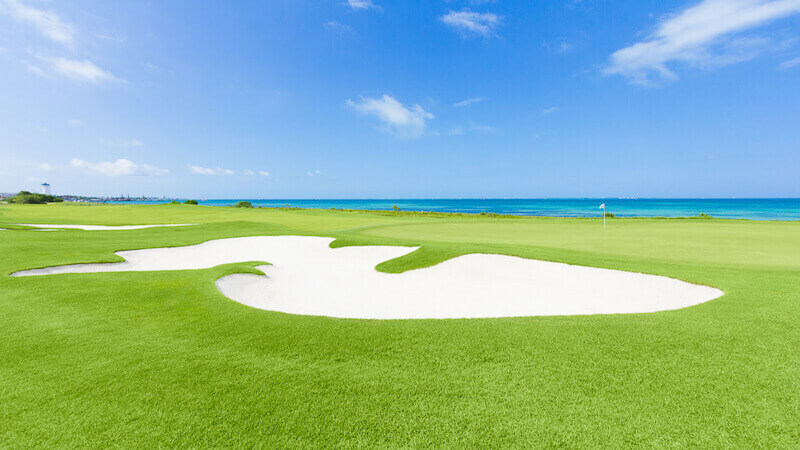 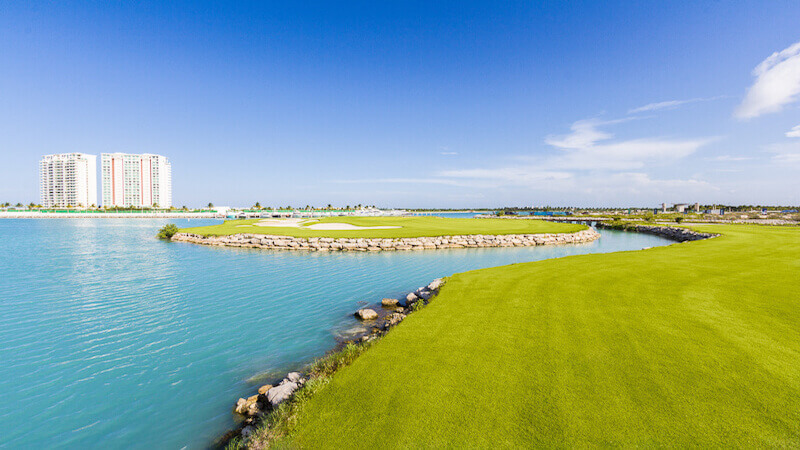 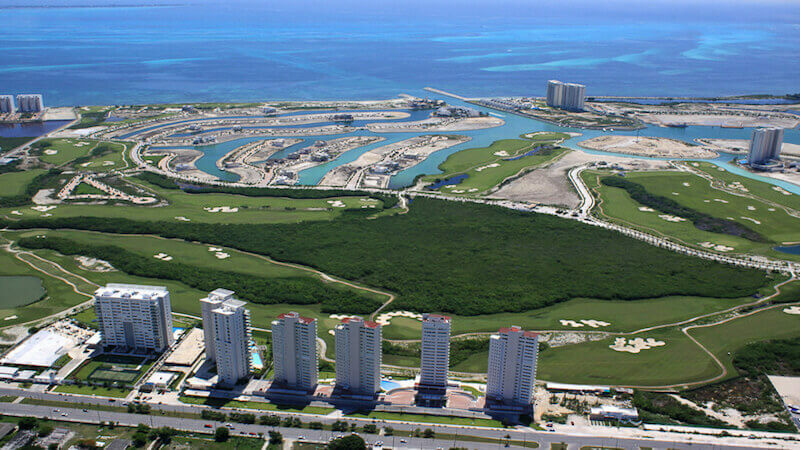 A challenging 18-hole, par 72 course designed by British Open champion Tom Weiskopf right outside Cancun's bustling Hotel Zone. 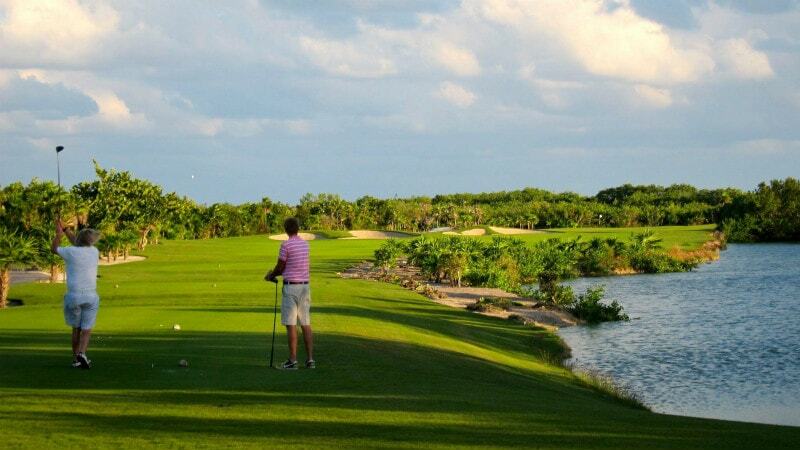 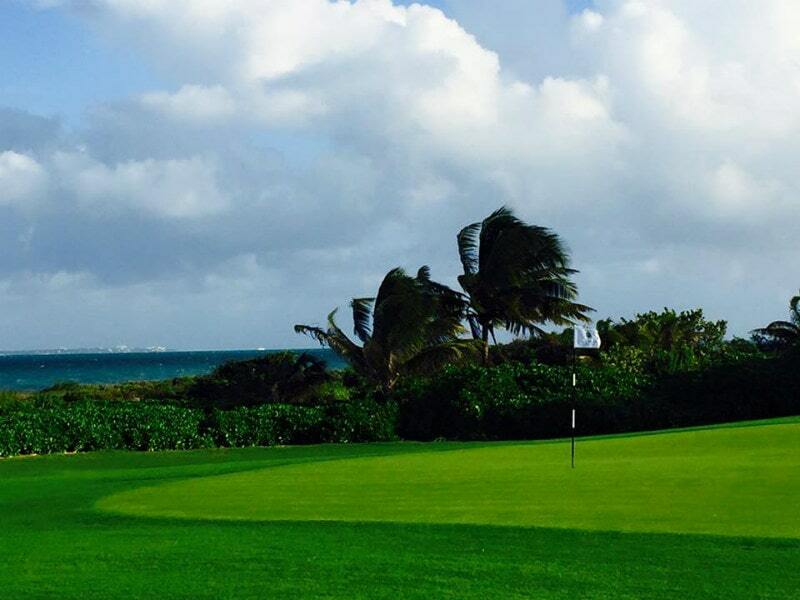 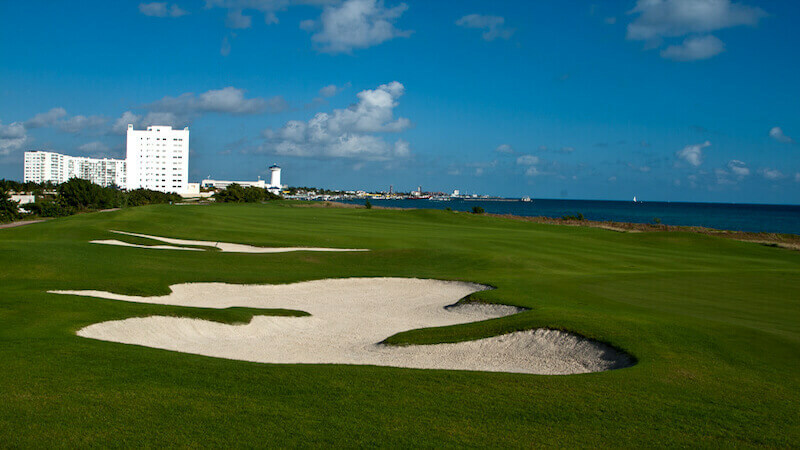 Tee off at Playa Mujeres Golf Club, a Greg Norman signature 18-hole golf course located just 20 minutes from Cancun's Hotel Zone!